5 days of incredible high level skiing in the Zugspitze Arena. There are some exceptional descents located on the Zugspitze, the highest summit of Germany. It takes a bit local knowledge and savy to uncork the potential of this surprisingly quiet massif. This exceptionally stunning area offers runs of nearly 2000m vertical drop. When the conditions set up, some very interesting lines are able to be skied and some really great links can be made by using the extensive lift/rail system found on the Zugspitze. 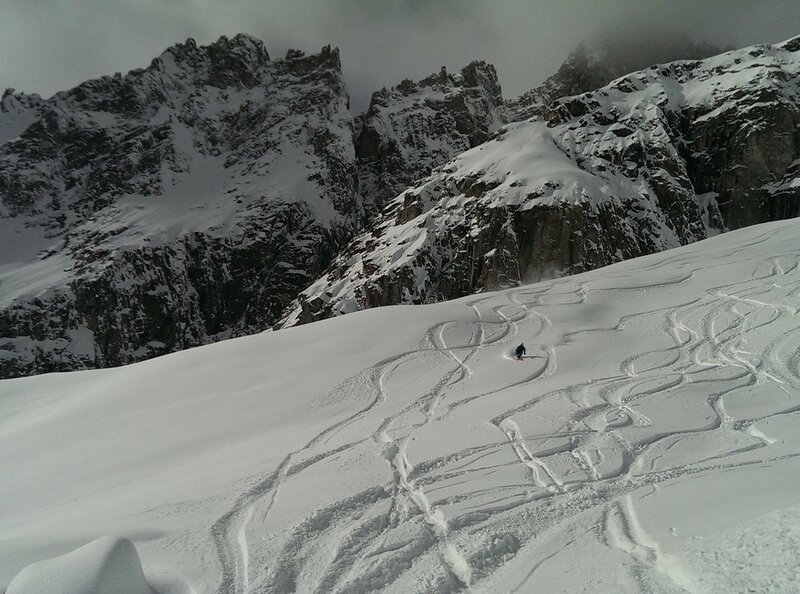 The area is a great place to get started on steeper lines and fine tune for some of the bigger peaks of the Alps. Come spend a weekend to sample a few of them with me. 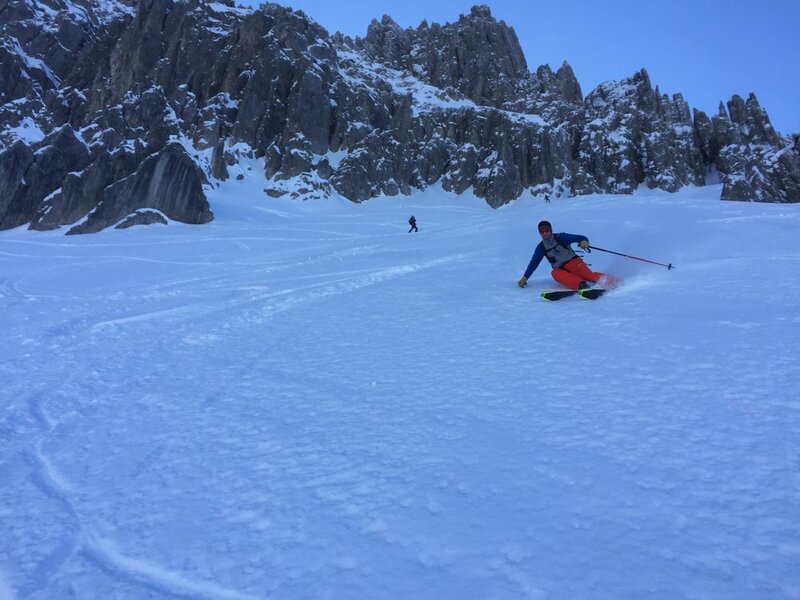 The Zugspitze - highest peak in Germany and the surrounding ranges of the Wetterstein and Karwendel offer some of the most wild and unspoiled backcountry skiing in all of the Alps. This winter I've included a brief week to sample some of the fun. We kick things off with a meet and greet at your hotel for a welcome breakfast and brief course description. Then things really get moving with a warm up day spent in the resort of Garmsich - sampling some of the interesting off piste runs found in this typical Bavarian resort. Today we'll head back to Garmisch to sample one of my favourites - the famed Alpspitze - which we scale by the via ferrata to reach the airy summit. The 1650m run down takes us along the east ridge and finally into heavy forests before returning to civilization and a celebratory Weissbier. Off to Seefeld today to sample some of the great steep backcountry runs that this small gem has to offer. We will most likely make a few warm ups on some shorter steep sections before venturing deep into the backcountry and finally emerging down the valley. The skiing is on wide open 45 degree slopes with afew narrow narrow pockets mixed in for god measure. 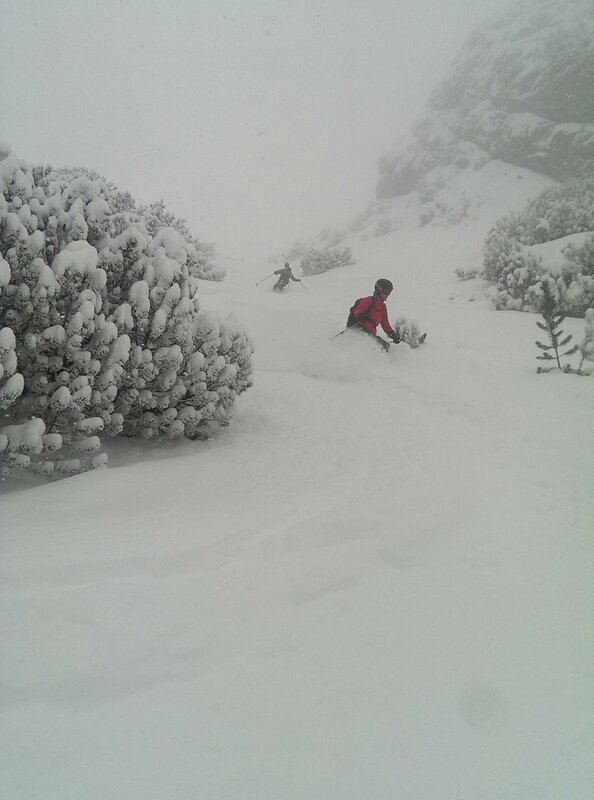 Next comes a long rappel and finally a long hidden couloir that takes us down to the open slopes above a run through pine forests to finish off the day. If this sounds like a good time - well, you’re probably right. It is. In fact it is one of the best steep runs of it’s kind in the northeast Alps. On our final we will most likely enjoy one of the many spectacular ski tours to be found around the neighbooring resort of Lermoos, Austria. We will have a few different options yo choose from - all of which offer something unique. Final afternoon apres ski and good bye farewells.